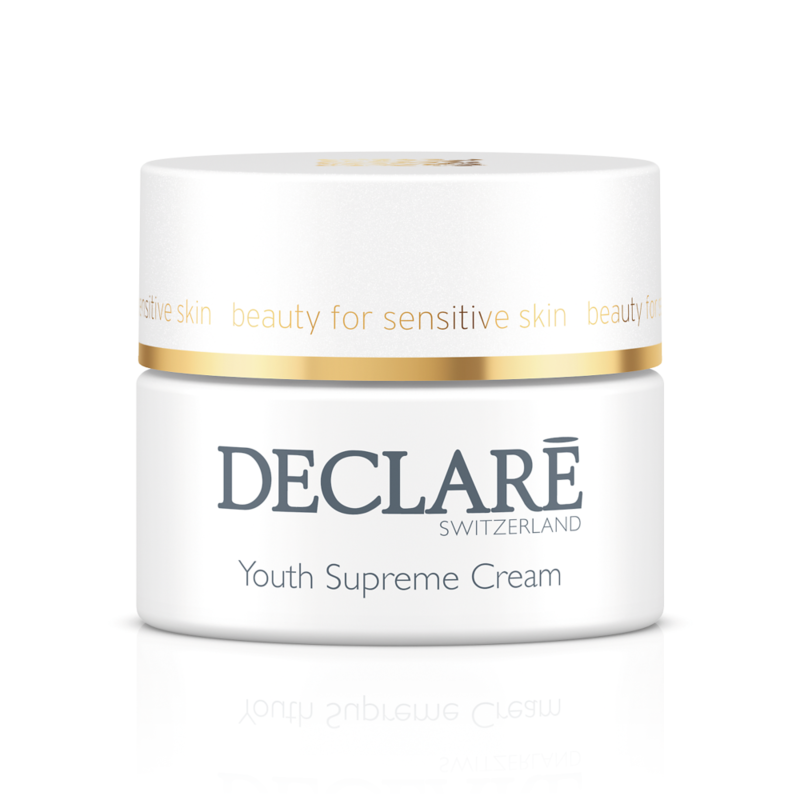 This gentle cream with highly concentrated moisturizing ingredients protects the skin's barrier function. Valuable magnolia extracts penetrate deep into the skin, helping maintain the skin elasticity. Pure silk particles, selected oils and refreshing moisture pamper the skin, leaving it unbelievably soft and visibly reducing the appearance of fine lines. Apply mornings and evenings onto perfectly cleansed face and neck. AQUA (EAU/WATER), BUTYLENE GLYCOL, GLYCERIN, C12-15 ALKYL BENZOATE, ISOSTEARYL ISOSTEARATE, MACADAMIA INTEGRIFOLIA (NUT) SEED OIL, PENTYLENE GLYCOL, CAPRYLIC/CAPRIC TRIGLYCERIDE, SACCHARIDE ISOMERATE, MALUS DOMESTICA FRUIT CELL CULTURE EXTRACT, HYDROLYZED LINSEED EXTRACT, MAGNOLIA OBOVATA BARK EXTRACT, ECTOIN, DIMETHICONE, SODIUM HYALURONATE, GERANYLGERANYLISOPROPANOL, SERICA (SILK) POWDER, HYDROLYZED LUPINE PROTEIN, TOCOPHERYL ACETATE, TOCOPHEROL, LECITHIN, ASCORBYL PALMITATE, XANTHAN GUM, DISODIUM EDTA, GLYCERYL CAPRYLATE, HYDROXYETHYLCELLULOSE, ACRYLATES/C10-30 ALKYL ACRYLATE CROSS-POLYMER, CARBOMER, SODIUM HYDROXIDE, PHENOXYETHANOL, SODIUM BENZOATE, PARFUM (FRAGRANCE), CITRIC ACID, CI 15985 (YELLOW 6).